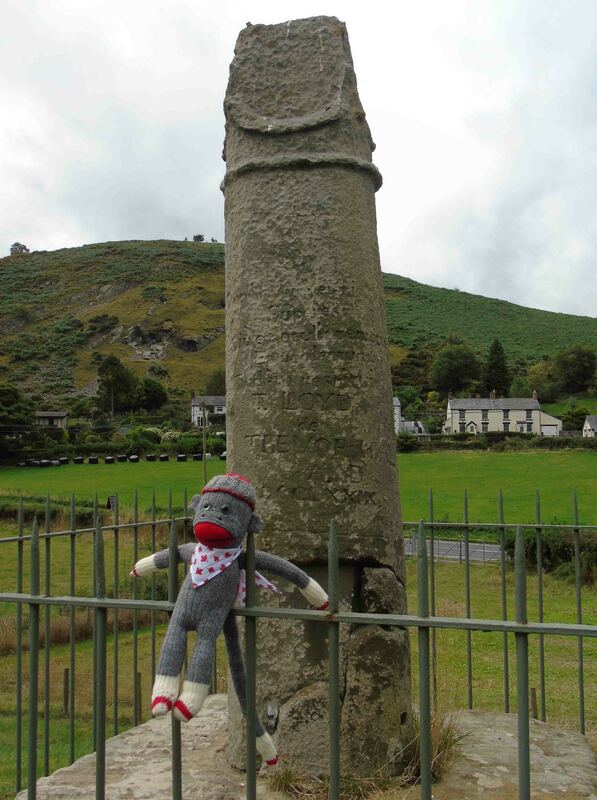 Yesterday I visited the Pillar of Eliseg, near Valle Crucis Abbey, Llandysilio-yn-Iâl, Denbighshire. 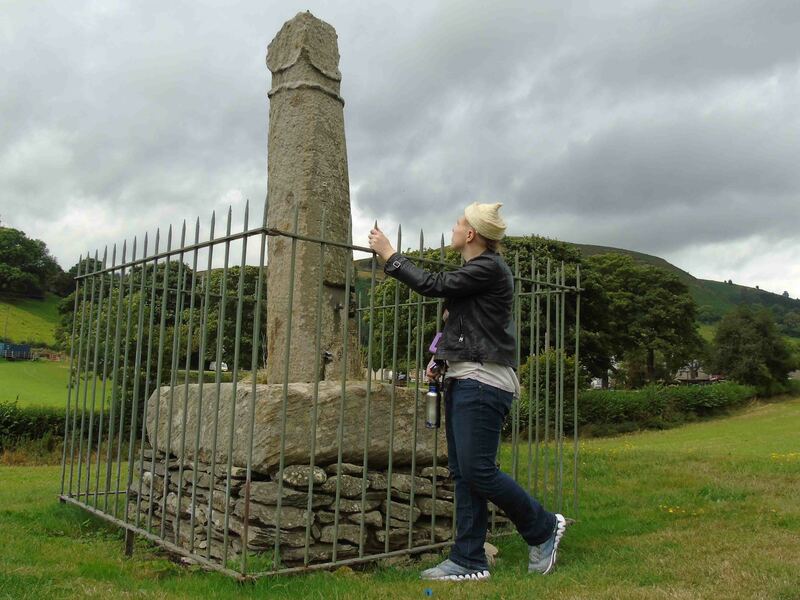 This fragment of cross-shaft in its original base, is part of a monument raised by Cyngen, ruler of Powys, to honour his legendary ancestors and great-grandfather Eliseg. It has been the focus of my research with colleagues from Bangor – Project Eliseg. I visit Valle Crucis and the Pillar quite regularly and each time I see different dimensions to the monument and its setting. This time, however, was an extra-special visit. I took my new PhD student Abigail who happens to come from Canada. Abigail has just arrived in the UK and is beginning her research with me and Dr Amy Gray Jones, investigating the deployment of amulets in early medieval mortuary practices. Welcome Abigail! Abigail brought with her a Canadian (maple-leaves on scarf) mascot, whom we suggested might be named ‘Aethelflaed’. This was history in the making. I’m quite certain this might be the first-time that a Canadian cuddly monkey called Aethelflaed has ever visited the Pillar of Eliseg.